L'Ecole Culinaire presents Louisiana Style Cuisine in its Memphis Presentation Room Restaurant. L’École Culinaire, 1245 N. Germantown Parkway, is presenting a five course “Big Easy” wine dinner at its Presentation Room Restaurant in Memphis on July 25 at 6:30 pm. This specialty dinner will be prepared by Chef Emmett Bell. Menus items offered are inspired by 4-and-5-star restaurants located in the New Orleans area, the ultimate restaurant Mecca. For $60, guests can enjoy a five course culinary creation, which includes entrees specifically paired with wines selected to compliment each course. This outstanding culinary event begins with Smoked Oysters Rockefeller and Crab Ravagote, paired with Pol Roger Brut Champagne. The second and third courses include Turtle Soup with chopped egg and dry sherry and a Creole Tomato Salad with homegrown creole tomatoes, vinegar powder and herbs. The soup is served with JJ Vincent Bourgogne Blanc and the salad is complimented with Paul Jaboulet, P45 Rose. The main entrée, Seafood Pot Pie, contains shrimp, crawfish, fresh corn and potatoes in a lobster cream sauce. The Seafood Pot Pie is paired with Oliver Leflaive Cuvee Margot Bourgogne Rouge. The dinner concludes with Chef Bell’s Famous Bread Pudding. The dessert is mixed with meringue to make a light souffle whisky sauce, and served with Paul Joboulet Muscat Beaumes de Venice. 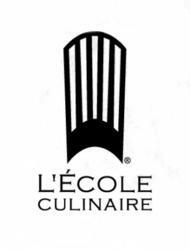 As part of Vatterott Educational Centers, Inc., L’École Culinaire offers culinary school in Memphis and St. Louis for the career-minded chef. Students experience hands-on learning and instruction from professionals in the culinary industry. For more information, please visit http://www.lecole.edu.